The Machine As A Mechanical Slave. 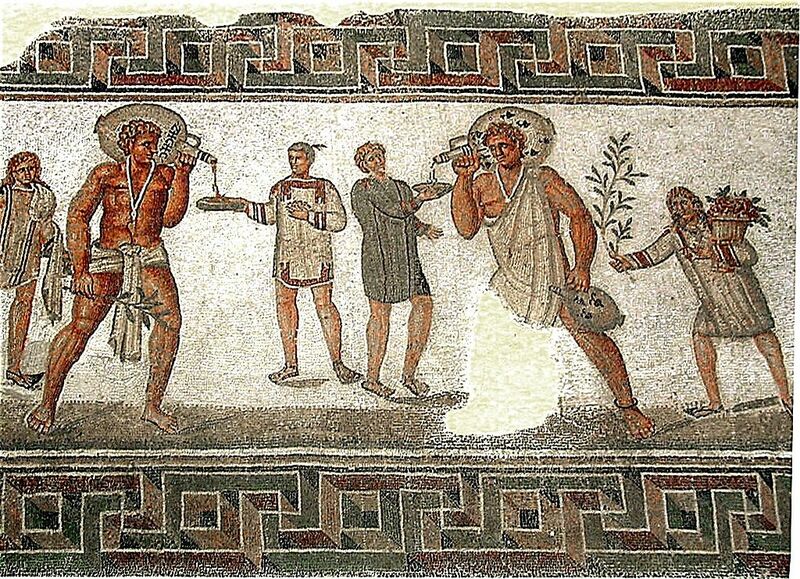 In Roman times, the ownership of a slave was common for those who could afford it. This, however, wasn’t the southern American states before the 1900s; there were a wide variety of slaves from house slaves to those working the galleys. The house slave often had a lifestyle more in common with a servant today, albeit that they did not have their liberty. However, they were well fed, well dressed and even had days off. Then there were slaves that weren’t treated so nicely, such as those used down the mines and in other laborious industries. Only this isn’t an exploration of slavery, it is to explore something a little more subtle. My point is that a modern machine does not need feeding, and a slave does. In a world where there are no machines, there is a limit as to how much food a given society can produce – and that limit effectively constrains the growth of the economy. After all, if Rome was to produce more, it would need more slaves – but there was no possibility to feed them. What’s more, Rome was entirely dependant on the Egyptian wheat harvests. Romans, however, were not modern economists. Were a modern economist to study Roman style economics in the way the Romans actually saw such things for themselves, these same economists might learn a little about their own economic theories. Which is what this post is all about, and it is one of my tangential explorations of ‘Purchase Money’, a term coined by Rudolf Steiner in the early twenties. There are few enough of Rudolf Steiner’s followers who understand this concept, leave alone the foundations upon which the concept is based. This is one attempt to put the situation to rights. The problem with modern economics is that it is almost entirely based on ‘purchase money’ thinking. In our modern world, purchase money thinking is so pervasive that even investment is in terms of purchase money. I will return to this later, but wish to say that Rudolf Steiner also had a concept which he termed ‘Investment Money’, only this is very different from the kind of investment made by a modern bank. If you will allow a momentary diversion, Rudolf Steiner spoke of how a proper bank would charge interest based on the intelligence of the person they are lending it to. In short, the difference between the concepts of ‘Purchase Money’ and ‘Investment Money’ are as different as chalk is from cheese. 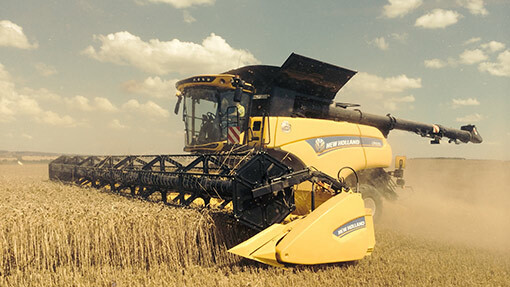 A New Holland combined harvester. It can carry ten tons of harvested grain. Now it is fair to say that the Romans didn’t really do much by way of economic thinking. Business and trade, yes, economics and such, far less. The point is that they didn’t need to: their economy wasn’t going anywhere, was it? Their problems lay with the weather and the ability to land the grain ships at Ostia and other ports in the Empire. They did have to feed themselves, after all, and unlike today, they knew where their food came from and what it was dependent on. So what is all this about comparing a slave to a machine? Well, firstly, most slaves were not household slaves, and were used simply for their muscle. Muscle that needs feeding of course. Well, we’ve been there, haven’t we? Only this is my point: a machine does not need food, nor does it need sleep. It is very important to realize that a machine is designed to fulfil a task, a task that has already been thought out by an engineer. The brains behind the operation. What we have here in the machine is a clear distinction between the realm of thought and the realm of action. Now to most of us – and this included me until a few years ago – this sounds like nonsense. So give me a little rope to hang myself on, and I’ll try to slip the noose, all right? To whit: our thinking and our consciousness is clearly focussed in our head. We have consciousness of our fingers, but our fingers are not exactly intelligent. Given a decision to make, our finger would be hard challenged to do anything; it’s not the role of a finger to think, its role is to do as it’s told. When a finger doesn’t do as it’s told, we’re said to have Parkinson’s Disease – where the fingers, limbs or feet do as they please, rather than doing as their owner wishes them to. Which includes staying still when the owner isn’t thinking about them. Given that a limb doesn’t possess much by way of intelligence, all it can do by itself is to tighten itself up or having done that, to loosen itself again. Nor is there much finesse in this action, it is merely pumping, if I might describe it that way. Finesse in all its human forms requires consciousness – and this takes us into a different realm which there isn’t space to discuss here. It is closely linked to Rudolf Steiner’s concept of ‘Investment Money’, though. I have digressed as usual; my apologies. The result of this exploration is to bring the muscle and the machine together. At its simplest, a machine is a congregation of levers, and as such, just pumps away. A steam locomotive is a good example of something made of connected levers. However, there is a world of difference between a muscle and a machine. If a machine has been damaged, the machine can be repaired by using replacement parts. It is far harder to repair the arm of a slave that has been damaged may be able to be healed, but it cannot be removed and another bolted on in its place. Not only that, but if the slave is dead, there is nothing in God’s good heaven that will bring him back to life. Barring miracles of course. These differences are extremely important when it comes to understanding modern economics, which has forgotten these not-so-subtle facts. Glaring they may be to some, overlooked by most. Worse: unseen, unthought of and unquestioned by students of the dark art that is modern economics. In purchase money thinking, cost is everything. Thus, the cost of a slave is its board and lodgings and the amount the slave can produce will, when sold, bring a profit. All the slave need do is to do as they are told. Irrespective of how intelligent the slave is; but a dim-witted slave owner isn’t going to think about his slaves’ intelligence, is he? It is much the same for a steam engine, namely, the fixed costs of powering the machine are counted against the revenue it generates and the difference is the profit. Only it is here that the comparison between the machine and the slave diverge: given a little wit, it is possible to make a larger and more efficient machine. Thus the input costs are less, the revenue generated is the same. Hence: more profit. 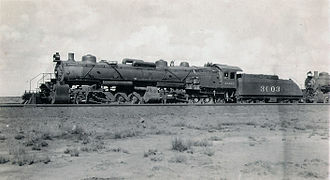 A huge American locomotive from 1913: it needs as many men to service as a little one. However, to feed the army of workers needed to service the small machine is the same as is required to service the larger machine (usually it is less, by the way; technology is usually a matter of cutting skilled jobs that are expensive). The amount of food needed is pretty much the same. Since mineral resources like coal and oil can be extracted and transported with more modern machinery, this means they are in immediate terms, sufficient unto today’s need. The point of this post has been to establish that by using machines, one has brought about a situation where using bigger machines, one can do far more work than one could by using a myriad slaves. Now most of you will have thought this ramble not only tedious, but a thorough-going waste of time. My own take on this is that the subtleties that underlie modern economics are not easy to recognize, and a great deal of thinking is required if one is to isolate the concepts that underpin it. In this instance, the machine is not limited by food resources that are naturally limited. It is practical to exploit the earth’s mineral resources in a way that provides far more energy than could be derived from food alone. I do understand that modern farming methods provide vastly more food than in previous ages, but like the modern machine, this comes with a number of strings attached. Previous Post Why Are We Ashamed Of Technology? Next Post Dialect And The Ex-Pat.